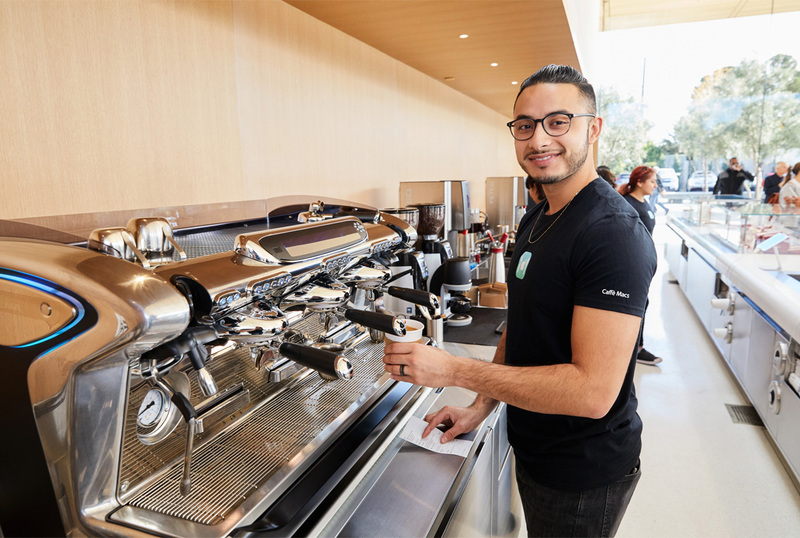 On Friday, Cupertino locals were invited to Apple Park on for their first look at the new Visitor Center overlooking the brand-new headquarters. 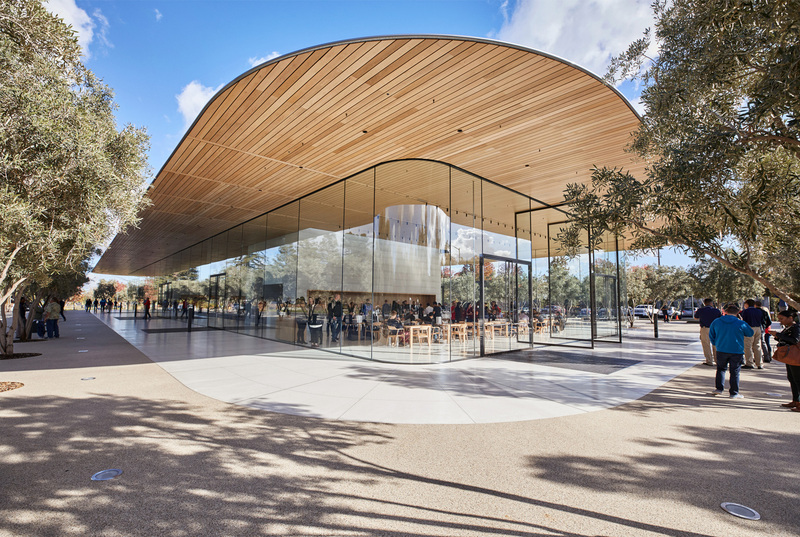 The Visitor Center has four main segments, with a retail store with assorted Apple-related paraphernalia, a cafe, an observation deck, and a space for an augmented reality experience about the Apple Park itself. The AR presentation is based off a scale model of Apple Park. 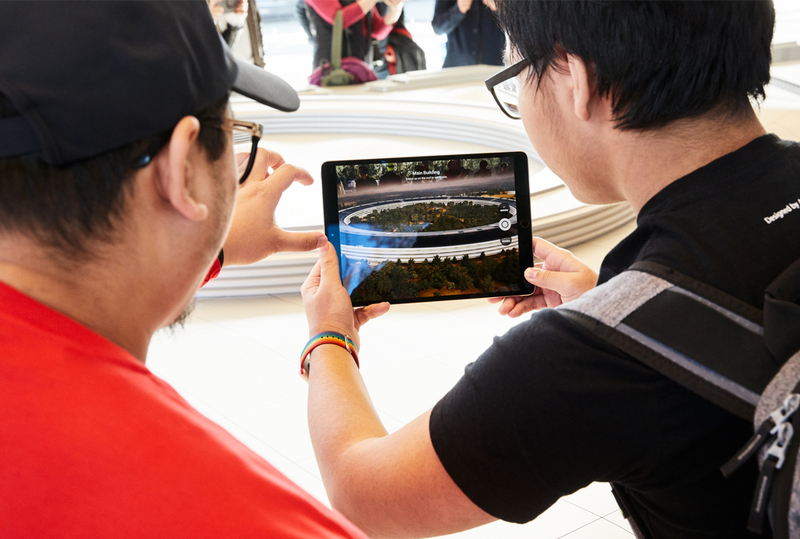 As visitors pan an iPad over the model, information about that particular building pops up. Guests are also welcome to make their way upstairs to the roof-top terrace for beautiful views of the main building and some of the 9,000 native and drought resistant trees on the grounds. 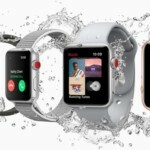 Apple reportedly paid $4,000 per square foot for the building, more than double the $1,500 per square foot price tag for the overall project. The visitor’s center features solid glass walls with rounded corners, providing panoramic views into the central segment that appears similarly to a modern Apple Store. The other end of the building features a cafe with indoor seating, which faces an area suitable for outdoor seating.